Weighing in on the evolution are Ben Affleck, William H. Macy, Marlee Matlin, RJ Mitte, Jamie Foxx, Geena Davis and Helen Hunt, among others. The 97-minute feature is hosted by Jane Seymour. 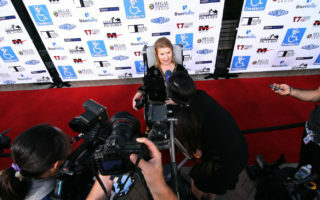 Jenni Gold, the film’s director, said she was inspired to pursue “CinemAbility” to offer historical context, but soon realized that the story was much bigger. “There was more behind these characters and depictions than the stereotypes that emerged, which in some instances are still adhered to,” said Gold, the only director member of the Directors Guild of America who uses a wheelchair. “In fact, what we found was much richer, in that there is a strong correlation between these depictions and how people with disabilities are treated, and as portrayals have become more well-rounded and realistic, actual people with disabilities have become more accepted socially, and more integrated into society,” she said. “CinemAbility” will be released Oct. 5 on iTunes and other video-on-demand platforms.